We are thrilled to announce that our book is now available from a variety of online sellers as well as local bookstores. Click here for our link to online sites carrying the book. 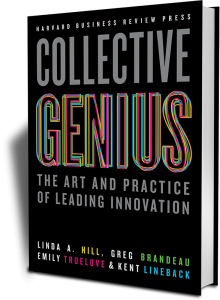 Collective Genius is also available in local bookstores which you can find through the Indie Bound link on this page or through your local Barnes and Noble store.